NEW BRITAIN - Christmas festivities continued into this week for the Polish community. 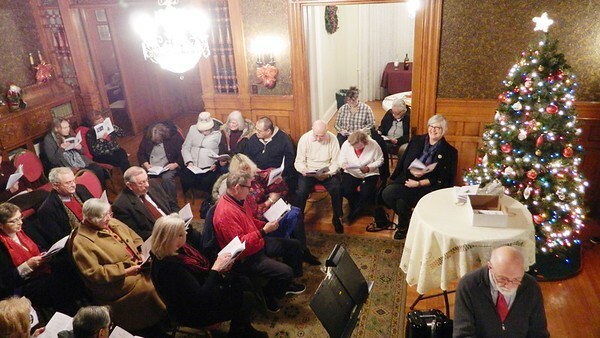 People gathered inside the Sloper-Wesoly House Sunday night for an evening of carol singing, presented by the Polish-American Foundation. 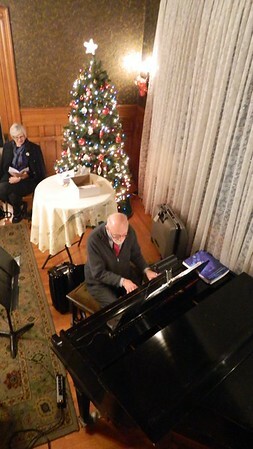 A program featuring 30 songs in Polish and English was led by guest pianist Walter Gwardyak of New Haven, a student of the foundation’s Polish Language School with an extensive musical background. All of the carols were familiar melodies, most very festive and upbeat. Gwardyak’s favorite was Lulajze Jezuniu. The program was led by PAF President Andre Blaszczynski and Coordinator Dorena Wasik. She runs the Welcome Home program, which connects Americans of Polish descent with their heritage. The group traveled to Poland together this past year. Many of them came together to sing Christmas carols Sunday. “It’s kind of like a mini reunion for us,” said Bruce Marshall, of Plainville. He and his wife, Hope Langer Marshall, enjoyed sharing holiday spirit with their Polish friends and fellow travelers. In Poland, Jan. 6 is the Twelfth Night, Feast of Three Kings. Also known as Epiphany, it typically marks the end of the Christmas season. However, the holiday continues for local Polish families sometimes all the way into February. “As far as I’m concerned we should celebrate Christmas every day. The world would probably be a better place,” said Linda Kazmierski, one of the carolers. She is a member of St. Casimir Church in Terryville, a largely Polish community. “I like Polish music and my friends are Polish,” Kazmierski added. Wasik tiptoed around carolers’ chairs through the parlor and up the staircase to gain a better vantage point for a photograph. Posted in New Britain Herald, , New Britain on Sunday, 13 January 2019 21:19. Updated: Sunday, 13 January 2019 21:22.